Trayo tray table has been designed with a firm focus on function and user-friendliness – a small table that is easy to serve from, to lift, to roll and to take with you. While the design owes much to that of a classic tray table, Trayo offers more functions and is manufactured in other materials – metal that contrasts with the wood’s warm round shapes. 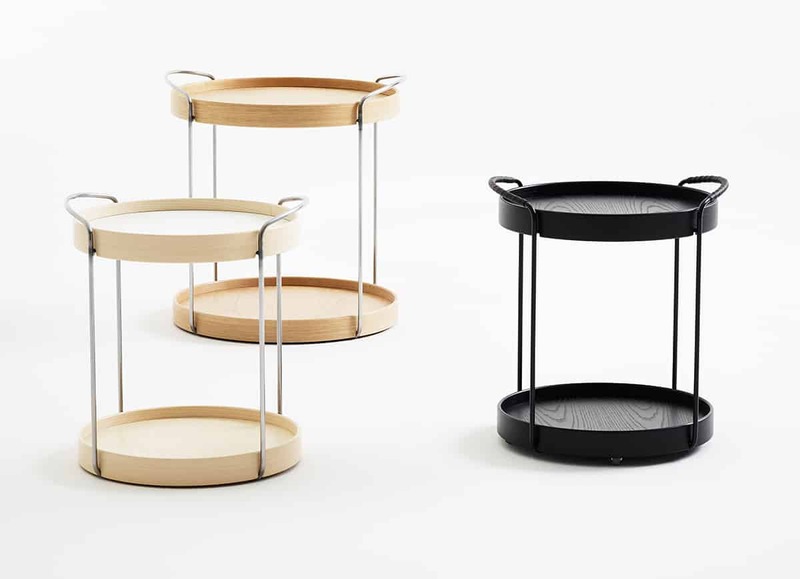 Trayo is available in two sizes and can be given its special character by combining the wood ring, the disc and the metal stand in different materials and colors. Anton designed the coffee table Puddle 2017 for Karl Andersson & Söner.